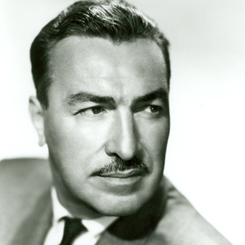 Image courtesy of Library of Congress Representative Adam Clayton Powell, Jr., who served 13 terms, rose to the rank of chairman of Education and Labor Committee. On this date, Democrat Adam Clayton Powell, Jr. of New York announced his support of Republican incumbent President Dwight D. Eisenhower in the 1956 presidential election. Known as a political maverick, Powell supported candidate Adlai Stevenson in 1952, but broke from the Democratic Party in support of Eisenhower citing the President’s “great contribution in the civil rights field.” The Eisenhower administration strove to desegregate the District of Columbia and make minority appointments to government agencies. Powell began working closely with Eisenhower in May 1955 when he first arranged a meeting with the President. During the next year, Powell publicly challenged the Eisenhower administration on the House Floor by adding anti-segregation amendments (later called the Powell Amendments) to major pieces of legislation. In a June 1955 letter to the Congressman, Eisenhower assured him that the administration will “work toward the eventual elimination of segregation from our national life.” Powell’s legislative efforts failed in 1956, but he continued to add amendments to legislation to further civil rights.